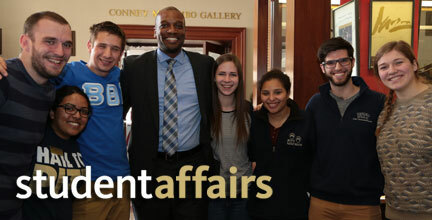 In Student Affairs, we actively foster a caring community that prioritizes the safety and well-being of all of its members. To that end, we provide the following resources and services to ensure that our students remain safe, healthy, and thriving. The University of Pittsburgh is dedicated to providing a safe and healthy living and learning environment for students. The Care and Resources Support (CARS) Team accepts referrals, evaluates, and responds to student behavior identified as reasonably causing concern for students’ health, welfare, and safety. Referrals to CARS: Students who should be referred to CARS may be students whose ability to succeed academically, or to function within expected standards as a member of the Pitt community, are negatively impacted by the student’s conduct or decisions, or by challenges the student faces of a medical, personal or social nature. The CARS Team is not intended to address emergency situations. If there is an immediate threat to a student or the community, please call 911 or the Pitt Police at 412-624-2121. A CARS referral should be made when communication and collaboration among service providers is needed to help students who are impaired in functioning across multiple areas and who may benefit from collaborative assistance from a variety of departments (for example, Residence Life, University Counseling Center, Disability Resources and Services, Student Health, Public Safety, Office of International Services, or other offices.) If only one service provider is needed please contact that office directly. The Office of Sexual Harassment and Assault Response and Education (SHARE) offers resources to help all members of our University community report, cope with, and prevent incidents of sexual misconduct or assault. Staff from the Counseling Center are available 24 hours contact them at this phone number. Contact them from 8:30 am – 5 p.m. after those times contact the Pitt Police at this phone number.